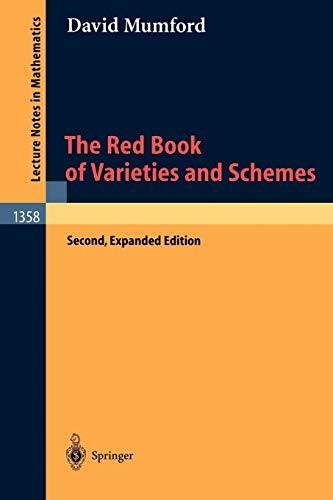 [PDF] The Red Book of Varieties and Schemes: Includes the Michigan Lectures (1974) on Curves and their Jacobians (Lecture Notes in Mathematics) | Free eBooks Download - EBOOKEE! Description: Mumford's famous "Red Book" gives a simple, readable account of the basic objects of algebraic geometry, preserving as much as possible their geometric flavor and integrating this with the tools of commutative algebra. It is aimed at graduates or mathematicians in other fields wishing to quickly learn aboutalgebraic geometry. This new edition includes an appendix that gives an overview of the theory of curves, their moduli spaces and their Jacobians one of the most exciting fields within algebraic geometry. No comments for "[PDF] The Red Book of Varieties and Schemes: Includes the Michigan Lectures (1974) on Curves and their Jacobians (Lecture Notes in Mathematics)".